Porto is one of the Portuguese destinations where tourists can sample the best of the country’s traditional cuisine. There is a clear emphasis on the seafood and fish specialties, but in Porto locals have developed a genuine cult of tripe stew, from where they have gained the justified surname of “tripe eaters”. And, of course, one could never forget to sample the reputed Port wine, perhaps the one local produce the fame of which has crossed the world from one end to another. In terms of eating out, Porto is replete with all sorts of eateries. From cheap and down-to-earth stalls and restaurants to expensive and stylish eating venues, Porto caters for all sorts of tastes and pockets. The traditional Portuguese cuisine is understandably well represented, but the international cuisine is not overlooked at all. So, depending on one’s mood to make new gastronomic experiences, Porto is a destination as excellent as all the other national metropolises where one can either dine in style or have a less expensive and yet rewarding and hearty meal. Tripas is iconic for the local cuisine of Porto. It’s true the national cuisine has its favorites in terms of commonplace ingredients (of which fish and seafood are notable in this respect), but it’s only in Porto that tripe has managed to become a sort of gastronomic symbol. There are all sorts of versions of tripas, which basically refers to a stew or soup made of tripe and sundry other ingredients (vegetables – beans in particular – sausages, spices). Briefly put, tripas is a must-sample, at least for tourists who want to get to know the local flavors of Porto in their most intimate expression. Just like anywhere else in Portugal (at least on the coastal regions), cod fish is ever-present on locals’ tables. Bacalhau is a specialty consisting basically of dried salted cod fish, and the authenticity of the dish is guaranteed by the centuries-old traditional recipes. Tourists can also me amazed by the variety of the bacalhau versions, but eventually they must make sure they don’t leave Porto (or their Portuguese destination of choice) without sampling at least one of these recipes. The Port wine is, without a shadow of a doubt, the most prestigious local produce of Porto. The wine is made of grapes cultivated in the Duoro region of Portugal, a wine region established as the third oldest in the world after the one in Hungary (Tokaj-Hegyalja) and the Chianti region in Italy. The Port wine (often simply referred to as Porto or port) is basically a fortified wine usually served as dessert. It comes in both reds and whites, but the reds are commonly thought of as the typical Port wines. 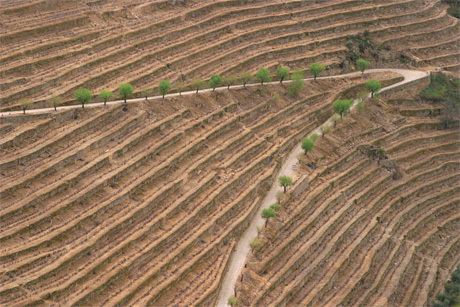 The tradition of its production goes back centuries ago, but officially the Duoro wine region was established in the mid 18th century. The fact locals hold this reputed product in great respect is envisaged, amongst others, by the fact Porto is home to a museum dedicated to this proud wine, namely, the Port Wine Museum, and by the fact certain wineries in Porto and its surroundings count, at least from a tourist point of view, as some of the top sights one should visit while spending a vacation in Porto. Bacalhoeiro is located just across the Duoro River, but the trip is worth making, in particular by people who want to sample the very best of the traditional cuisine of Portugal. As the name suggests, this restaurant specializes in cod fish-based dishes, so it goes without saying the most recommendable plates served at Bacalhoeiro are seemingly innumerable versions of a simple and yet rewarding specialty: the salty dried cod fish. Dainty feeders can also expect to be offered to complement their third course with Port wine. The gastronomic experience can easily be complemented by the thrill of admiring the building which is home to this restaurant, a massive granite building which dates back to more than 100 years ago. Restaurante Portucale is located in the same building with the remarkable Albergaria Miradouro hotel, more precisely, at the 13th floor of the building. The location is a definite advantage of the restaurant, since diners have thus the opportunity to enjoy the sweeping view of Porto. The atmosphere is further enhanced by the fact Restaurante Portucale maintains an air of refinement by its furnishings (tables embellished with flower pots, silverware and porcelain eating tools), not to mention the menu. The restaurant showcases an array of traditional Portuguese specialties, but it also makes room for international dishes, featuring some of the most mouthwatering French delicacies. A fine selection of wines, both Portuguese and international, is available to diners’ discretion. Without overstating, Bull & Bear enjoys the reputation of one of the most sophisticated restaurants in Portugal. It pertains to the BB Gourmet chain, and it specializes in contemporary Portuguese cuisine. International cuisines are not disregarded either, but there is a clear prominence of Mediterranean flavors and influences. Briefly put, Bull & Bear is the place to be for people who want to dine in style and enjoy an atmosphere and a menu unparalleled by any of the other eating venues in Porto. The furnishings match the creativeness the chefs poor in the dishes that delight clients’ palates. Bull & Bear is the ideal destination for people who want the best of the contemporary Portuguese cuisine with a touch of seemingly endless ingenuity from the part of the cooks. The selection of wines is quite impressive, both in number and in terms of the quality of showcased labels. Dom Tonho is not just a mere restaurant, even if one of the glitziest in Porto, but also a tourist sight proper of the city. Located in the splendid Ribeira in a venue which still preserves parts of the walls of certain architectural structures which date back to the 16th century, Dom Tonho offers a magnificent sweeping view of the Duoro River to diners who choose to taste the best of the contemporary Portuguese cuisine. The restaurant opened no sooner than 1992, but it has gained a skyrocketing popularity, in part due to the fact it used to be the business of a celebrated national singer. On top of that, Dom Tonho boasts of an incredible book of honor which keeps track of the celebrities who dined here in the course of a decade: national and international singers, writers, politicians, actors and the like. Dom Tonho remains, however, a point of reference in respect to the contemporary Portuguese cuisine. The menu is complemented by an impressive 600-label selection of wines.